Nothing lasts forever. Case in point, comedic actors. Even the ones who reach superstar status and enjoy years of success eventually slip into mediocrity. The interesting thing is the pattern they follow. I’ve noticed that usually these kinds of actors have about a 10-year window, give or take a couple years, to really make a lasting impact. After their decade is up, they usually fall fast. There are numerous examples, and I limited myself to 10 for this list. I’m sure there are plenty of others. So let’s witness the rise and fall of these comedic actors in about 10 short years. 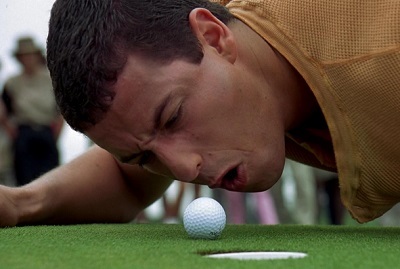 Oh, Adam Sandler, where did he go so horribly wrong? Oh yeah, he never grew up and the charm of acting like a crude delinquent finally wore out by the time he hit his 40s. His first four big movies are some of the most quotable comedies of all time. He had several other humorous and sometimes even poignant roles over the next few years. But after 50 First Dates he fell into a repetitive rut, with a few notable exceptions, like Reign Over Me. His movies still make money, but it’s obvious that his best work is behind him. Bill Murray was unstoppable. No matter how big or small his role in a film, he always managed to steal the show. 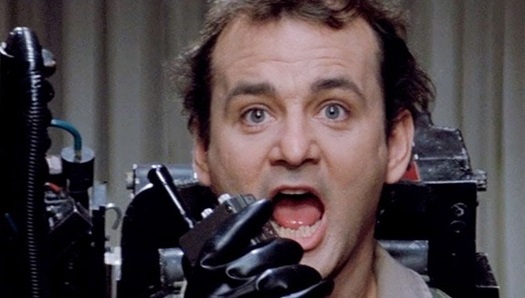 His skepticism and wry wit are a huge part of what made Ghostbusters a hit. But things were never the same after his redemptive role of Phil Connors in Groundhog Day. He had plenty of other funny and interesting roles in films like Ed Wood, Kingpin, The Man Who Knew Too Little, and Rushmore. But it was pretty clear as time went on that he had a different sensibility that wouldn’t allow him to recreate his early success. 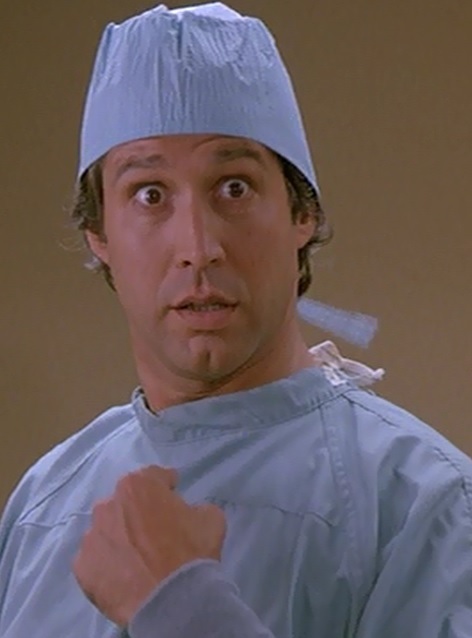 Chevy Chase has a surprisingly small number of good films compared to other big-name comedians. He had a lot more misses than hits. But the roles that suited him well were so iconic that they are still remembered fondly today. 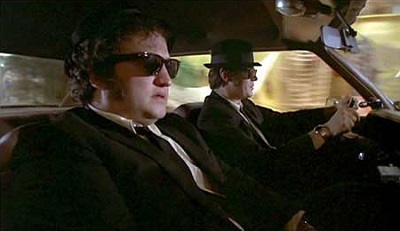 Dan Aykroyd had a hand in shaping the comedy of the ‘80s. He co-wrote and co-starred in The Blues Brothers, Ghostbusters, Spies Like Us, Dragnet, and Ghostbusters II. Sadly, his muse left him after he took on a dramatic role in the Oscar-winning film Driving Miss Daisy. He did have a few other good roles, such as in My Girl and Coneheads, but he was done being the comedic titan he was in the ‘80s. 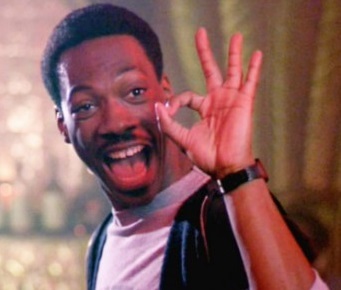 Eddie Murphy had an incredible run in the ‘80s. Almost every year he was pumping out something new that everyone loved. Then came the dark period of 1989 to 1995 when it seemed like every film he touched turned into garbage. He had a little recovery in the late ‘90s with The Nutty Professor, Dr. Doolittle, and Bowfinger. But since then it’s been mainly mediocrity interspersed with the occasional hit, like Dreamgirls. 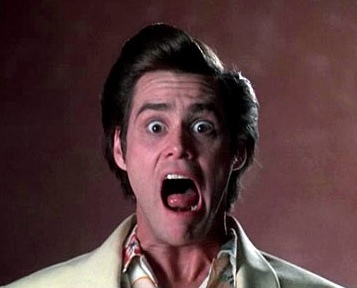 From 1994 to 2004, Jim Carrey seemed to be able to do no wrong. Every role he took he did with gusto. He was brilliant in comedies and dramas. But all good things must come to an end and as Carrey plunged into his 40s, he lost whatever it was that made him so unique earlier in his career. Mike Myers’s main draw is his characters’ self-awareness. They take great care to explain jokes and explore the irony of their situations. Possibly my favorite of his films is the underrated gem So I Married an Axe Murderer because for the most part he doesn’t fall into that shtick. Other characters have fun, but he often plays the straight man through the film. Audiences ate up his crazy performances and accents for 12 years. But then came his atrocious interpretation of The Cat in the Hat, and the final nail in the coffin was The Love Guru. It doesn’t look like he’ll be able to recover anytime soon. Remember this little guy? 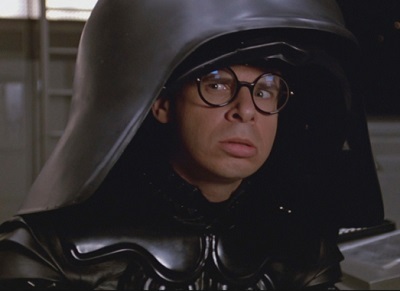 Rick Moranis was brilliant all through the ‘80s, though he was usually in a supporting role. He finally got to shine in Honey, I Shrunk the Kids and My Blue Heaven right before fading into obscurity. Sure, he co-starred in 1994’s The Flintstones and Little Giants, which some of us liked when we were kids. But let’s be honest, those movies are terrible. Robin Williams started on TV with a show called Mork and Mindy. His first big role was as the titular character in the uneven 1980 comedy Popeye. But that proved to be a disappointment. So he moved on and finally struck gold with the dramedy Good Morning, Vietnam. For being such a gifted comedian, he sure starred in a lot of dramas on the way to superstardom, such as Dead Poets Society, Awakenings with Robert De Niro, The Fisher King with Jeff Bridges, and Good Will Hunting with Matt Damon. None of his later films lived up to his talents. This perpetually grey-haired actor kept proving his comedic genius year after year. He could transition from sweet romantic comedies to screwball road trips with ease. 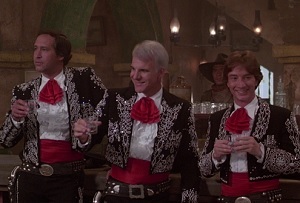 After 1991’s Father of the Bride, he lost his magic touch. He did have the occasional hit with Bowfinger and Cheaper by the Dozen, but nothing that could rival his work before his hair went completely white. Of course, not everyone fits the mold. Some actors refuse to be put into a box, and here are a few exceptions to the rule that comedic actors can only last about 10 years. 2003 was a big year for Will Ferrell. That year, he made a name for himself with the surprisingly funny Old School and Elf. Since then, he’s had a lot more hits than misses. Last year, he co-starred as Lord Business in the absolutely amazing The Lego Movie. Will Ferrell is well on his way to enjoying great success long past the decade mark. Since he made his debut with the inappropriately dubbed Japanese film What’s Up, Tiger Lily back in 1966, Woody Allen has been sharing his quirky sense of humor with the world with dozens of films. He is still making films today, but I’d say his last good one was 1996’s Everyone Says I Love You. From Deconstructing Harry on, he took a turn for the mediocre. Still, 30 years of above-average and often superb comedy is nothing to be ashamed of. There are also other actors, like Seth Rogen and Jonah Hill, who are still on their way up. And then there’s Tom Hanks, who began his career in comedies but transitioned to serious films in the ‘90s and hasn’t looked back. He’s enjoyed amazing longevity by stretching as an actor and moving on to roles that emphasized his strengths as more than just a funny guy. I think the reason that most comedic actors struggle to make it big for more than a decade is that eventually people catch on to their shtick and start to get tired of it. Actors can evolve and move past their goofy personas over time, but they can’t keep delivering the same jokes and performances and expecting the same reactions from their fans. We wind up moving on to other talented actors who can deliver a different take on humor. I guess you could say that you can predict a comedic actor’s longevity by using a measuring shtick. That’s funny. This entry was posted in Random Stuff and tagged 1980s, actors, adam sandler, bill murray, chevy chase, comedy, dan aykroyd, eddie murphy, films, fun, funny, humor, jim carrey, jokes, mike myers, movies, parody, puns, rick moranis, robin williams, steve martin. Bookmark the permalink. Thank you. Yeah, it’s really hard for actors like these to last much longer than that. Chevy Chase was never funny. And I’m still waiting for a chuckle from Will Ferrell. Chevy Chase was definitely smug. His dry, arrogant style of humor frequently wouldn’t work, but I just can’t help loving his performances in Fletch and the Vacation movies. As for Will Ferrell, he’s just so giddy and silly, I can’t help laughing at his jokes. I haven’t seen all of his movies, but the ones I have seen have been good. He kind of reminds me of Tom Hanks in the ’80s. Maybe I’ll have to give Ferrell another chance. Certainly, the rest of my family thinks so. I’m beginning to dread Christmas as I can’t stand “Elf” and “everybody” else loves it. That’s awesome. And if you try it and still find that his comedy isn’t your cup of tea, that’s totally cool. Comedy is a pretty subjective thing. Rick Moranis didn’t “fade into obscurity.” He retired from show business after realizing that he wanted to spend time with his kids. Wow, thanks for pointing that out. Good for him. You don’t usually see that in Hollywood. Great article! I actually enjoy a lot of the work Bill Murray is doing now. Nothing can top the classics of Meatballs, Caddyshack, Groundhog Day, or Ghostbusters, but he has churned out some pretty great work with Wes Anderson over the years. Adam Sandler had a few hits in the mid ’00’s with Click and Chuck & Larry but his work the past 4 or 5 years has been terrible. 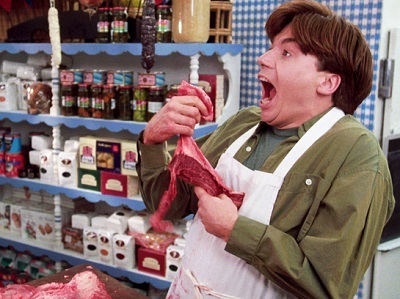 Kind of hope and pray for a Mike Myers comeback soon. That man is a comedic genius!